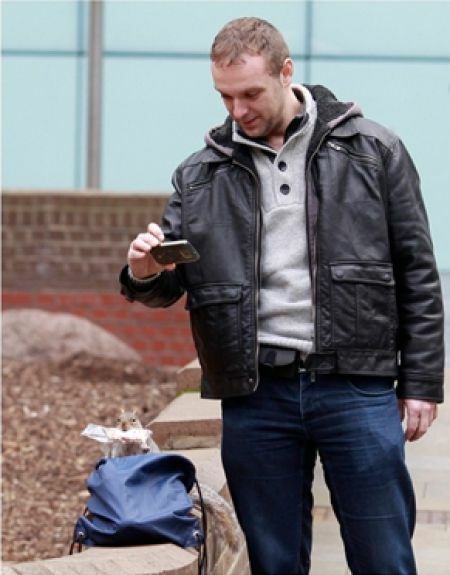 What do you think this man from London photographs with such an enthusiasm? 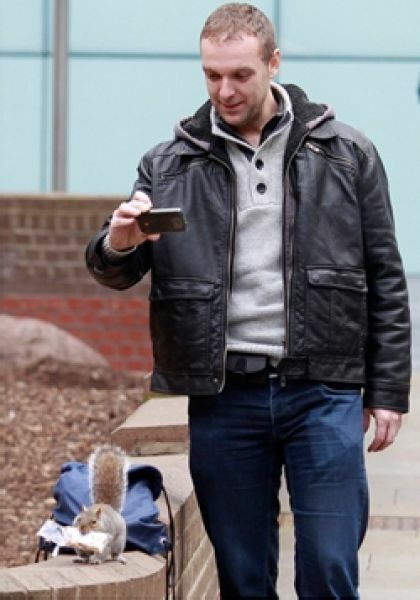 He uses his cell phone to take pictures of a squirrel. 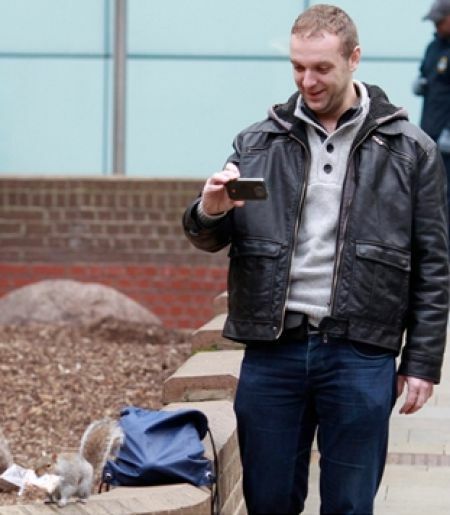 The animal didn’t want to pose for his free photo shoot, so it took a snack from the man’s bag. he wasn't taking a photo, he was making a video!